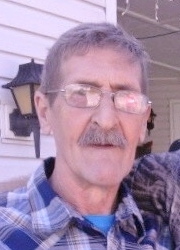 Ralph William "Bill" McElroy, age 69, of Wapakoneta, passed away Thursday, March 28, 2019, in Celina. He was born November 23, 1949 in Van Wert, to Robert Eugene & Marjorie M. ( Walser ) McElroy, who are both deceased. Bill is survived by his Significant Other, Cherri Bellamy, of Wapakoneta, and his Kids: Ralph "Billy" McElroy of Spencerville, Jeremy ( Tammy ) McElroy of Tennessee, Carla Geotz of Berne, IN, Sarah "Sam" McElroy ( Doug Thornsberry ) of Willshire, Elizabeth "Liz" McElroy ( Jim Eisenhut ) of Lima, William Palmer of Iowa, Kesha Wright of Texas, Courtney Freeman of Iowa, Natasha Freeman of Iowa, and Reno Palmer of Oregon. His Siblings: Deb McElroy ( Jinks Diegel ) of Houston, TX, Delores "Dutch" ( Mark ) Hart of Portland, IN, Bonnie Baker of Rockford, Robert "Bobby" ( Macaria ) McElroy of San Diego, CA and George "JD" McElroy of Monroe, IN, 25 Grandkids with 2 more on the way, 7 Great Grandkids, and a Brother-in-law, Jerry Morris, of Virginia, also survive. Bill was preceded in death by his Sons: Eric McElroy and John Paul McElroy, a Sister, Cynthia Morris, and a Brother-in-law, Steve Baker. He served with the U.S. Army during the Vietnam War, and had worked doing telephone installation and at Miller's Textile in Wapakoneta. Bill loved to garden food and flowers, quilting, crocheting, and embroidery. He was a big Ohio State Buckeyes fan. Calling Hours will be held Saturday, April 6, at The Lord's Abounding Grace Church, 7495 U.S. Route 127N, Celina, from 11:00 am-1:00 pm, with the Funeral Service to begin at 1:00. Pastor Randy Christian will officiate. Burial will follow at North Grove Cemetery in Celina. Memorial Contributions may be made towards the wishes of the family.